DJ Swami and John Minton present an exciting preview performance of PunjabTronix this Saturday 20 May at Wolverhampton Art Gallery. 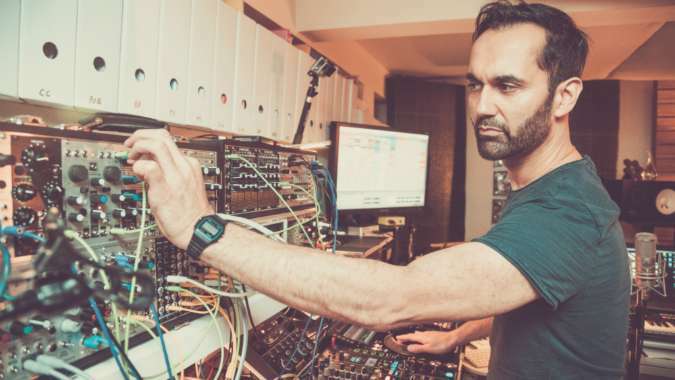 Ahead of the UK tour in July, they will offer a sneak preview of the sound and visual material that will feature in the live show of PunjabTronix. We are really excited to be previewing material for PunjabTronix – a new commission from Asian Arts Agency, which is combining cutting edge electronica from DJ Swami with the traditional music of Punjab. The performance will take place alongside an evening of activities and performances at India Rocks (Or Not! ), an event exploring British Asians and their tenuous marmite relationship with India. Produced by Creative Black Touring, Multistory & Delhi Photo Festival, the event is part of Alchemy Black Country, a week long festival celebrating the UK’s relationship with South Asia featuring; theatre, music, dance, film and much more. The festival will run from 20 – 28 May. You can find out more about the event on our India Rocks! (Or Not!) event page.